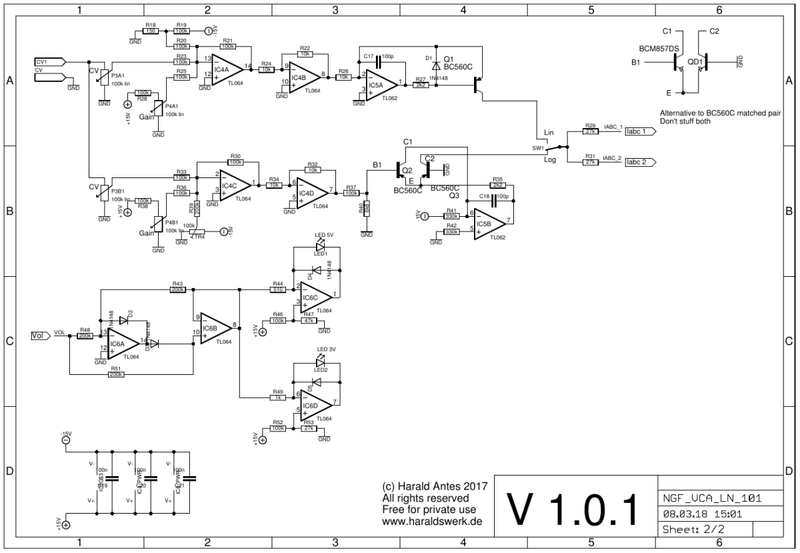 A well known way to reduce noise in VCA is using the VCA's in parallel. Here is my approach. A LM13700 used in parallel reduces the noise floor around 3dB. Nothing special here. 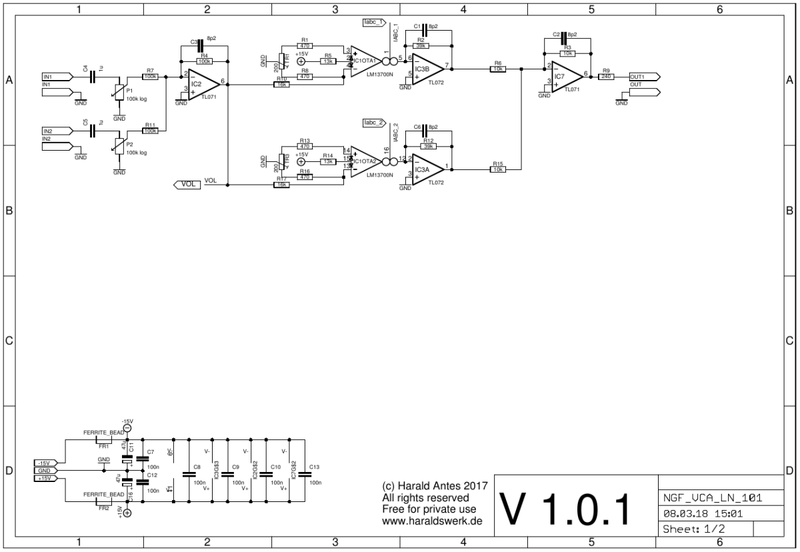 Just two plain forward designed VCA with LM13700. With the signals added together. Standard circuitry for Iabc and level control.